– from Eric Bogle’s song The Green Fields of France. This verse was deleted in Joss Stone’s rendition for the Royal British Legion’s 2014 Poppy Appeal. 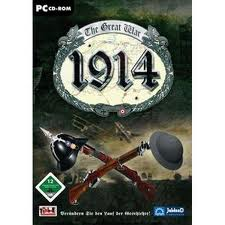 Set off by a diplomatic crisis, triggered by the assassination of Austrian Archduke Franz Ferdinand in June of 1914, The Great War as it was known at the time lasted four bloody years. On November 11, 1918, Germany became the last of the Central Powers to capitulate and sign an armistice with the victorious Allied Powers, signalling the end of the war. To this day, the 11th hour of the eleventh month is set aside to reflect and honour those military men and women who paid the ultimate cost to secure a more peaceful and just world. The occasion is referred to as Remembrance Day in the British Commonwealth. The spirit of Remembrance Day has shifted in recent years, especially in Canada. Cautionary warnings about the terrible toll of war with slogans like “Never Again” and “Lest We Forget” seem to have been eclipsed by imperatives to paint the sacrifices of military men and women serving the State (for whatever reason) as heroic and necessary. Without disrespecting those who have died serving in past conflicts, it is worth reflecting during Remembrance Week on exactly why World War I and other twentieth century conflicts were waged in the first place. Were these wars truly for democracy, peace and democracy? Or were there more cynical motives being pursued by Canada and the other major powers? To this end, this week’s Global Research News Hour interviews two prominent authors and dissident thinkers on the century old conflict known as World War I and Canada’s role in this and other military forays. Yves Engler is an activist and author of numerous books on Canadian foreign policy including The Black Book on Canadian Foreign Policy, Canada and Israel: Building Apartheid and his latest The Ugly Canadian: Stephen Harper’s Foreign Policy. Dr. Jacques Pauwels, Canadian historian and author of the 2000 book The Myth of the Good War: America in the Second World War . He has a French language book on World War 1 available now. An English version will be available in 2015.